Kissimmee condo: DISNEY WORLD! "ANIMAL KINGDOM" NEW, Truly Spectacular Vacation Home! DISNEY WORLD! "ANIMAL KINGDOM" NEW, Truly Spectacular Vacation Home! Imagine you and your family staying here for your Disney World vacation! And if you're "snowbirds" looking for the perfect Florida winter vacation home, look no further! This BRAND NEW upscale villa is just 7 minutes from Disney World in the upscale Lindfields area of Kissimmee, and has it ALL! * The children's room has TWO sets of bunk beds, flat screen TV and incredible Animal Kingdom decor! * There's a spectacular, new dining room that seats 8 - enjoy your family meals together! 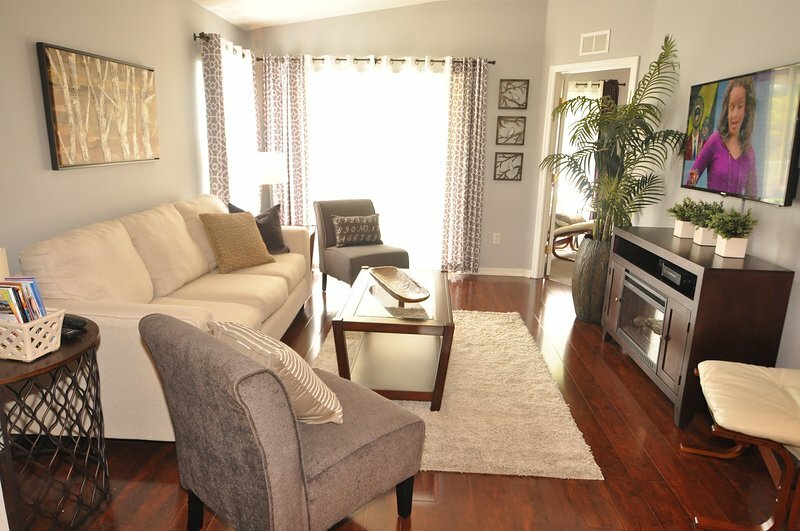 * Gather the family in the family room and enjoy a 52" flat screen TV and even a FIREPLACE. * Theme park tickets - we'll save you more $$'s than anyone else! NO ONE beats our prices! * Unbelievably LOW nightly rates! Our rates are 400% LESS than staying on Disney Property and even less than the cost of most small local hotel room's in the area!